A three-year theatrical journey from Indigenous Arnhem Land to Australia’s main stages now sees Michael Kantor, one of Australia’s most respected directors and former artistic director of Melbourne’s Malthouse Theatre, setting his sights on the UK. Next June as part of Shakespeare400, Kantor will transform London’s Barbican Theatre into a Dreamtime landscape for The Shadow King, a contemporary and Indigenous retelling of King Lear. Its London season will be the first time the production has been seen outside Australia. Drawing on this theme of journey, Kantor says that he has always wanted to create a sense of return by bringing his take on the Shakespeare classic “back to source”. Originally produced by the Malthouse during the 2013 Melbourne Festival, The Shadow King reimagines Lear, played by co-creator and Indigenous actor Tom E Lewis, as the head of a feuding Indigenous family in the remote Australian outback. Battling land ownership, mining rights, inheritance and the flow of wealth, Lear gradually descends into madness. Told through a blend of modern English, Kriol – a language originating from Australia’s Top End – and local Indigenous languages including Kala Lagaw Ya, Yumplatok, Gupapuyngu and Nunggubuyu, the production features a live score, video and traditional Indigenous Dreamtime songs. In developing the adaptation, Kantor and Lewis spent extensive time with the all-Indigenous cast in the Northern Territory’s Arnhem Land, a region encompassing some 34,000 sq km. While the production has “the beating heart of Shakespeare”, Kantor stresses it is fundamentally not a traditional retelling of Shakespeare’s Lear, but this is where the magic of The Shadow King is to be found. “Once we set up the structure, and the audience understands the parallels, it’s then, when we enter language, and when we enter music, that Lear in his madness gets reconnected with land in a very powerful way. 1. Jack Charles v the Crown. 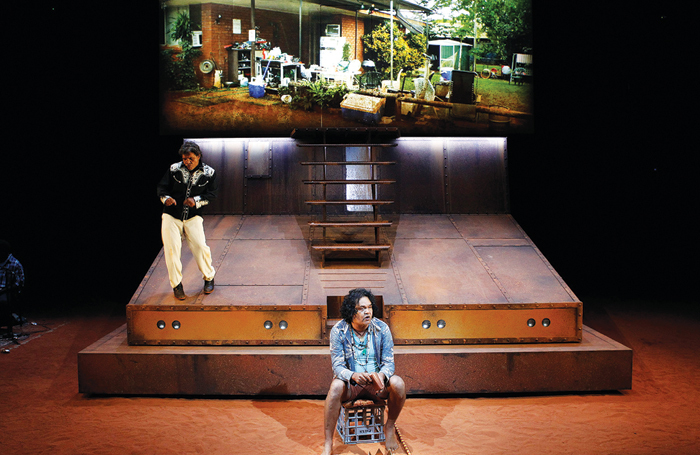 Based on the life of Indigenous elder Jack Charles, this Ilbijerri Theatre Company production made its London debut at the Barbican in 2014. 2. The Sapphires – musical which opened in London during 2011. Set during the Vietnam War, the story follows a group of Aboriginal sisters who perform Motown hits to troops on the frontline. 3. Windmill Baby – Set on a cattle station in Western Australia, David Milroy’s redemption story is about an Indigenous woman who returns to her home after 50 years. It played at the Salisbury Playhouse. 4. 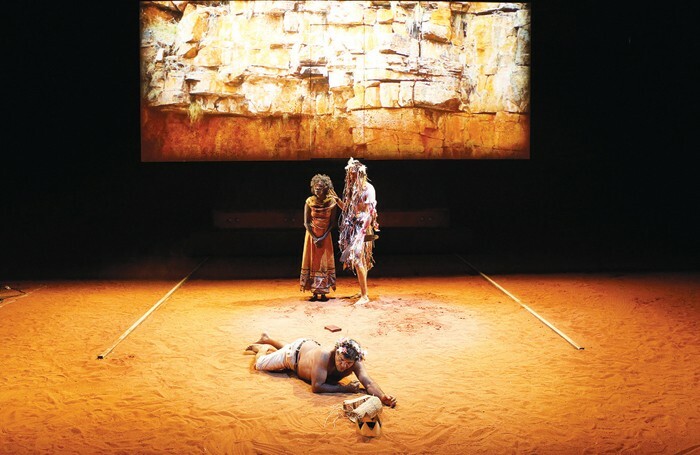 Bush – Celebrating the dance, music and ritual of Arnhem Land, Sydney’s Bangarra Dance Theatre toured the UK in 2006 with Bush, choreographed by Stephen Page. 5. Stolen (2001) – Written by Jane Harrison and directed by Wesley Enoch, Stolen tells the story of five Aboriginal characters forcibly removed from the Australian government by their families. Following its Melbourne debut, the Malthouse took the play on a national Australian tour to major venues and festivals, which Kantor says allowed the production to evolve and develop in strength and clarity. Kantor cites a speech by the Fool, played by Kamahi Jordan King, which updates the original storm scene of Act III, Scene II with revised subtext to address issues around Indigenous incarceration. The recently opened Darwin Correctional Centre is the largest prison of its kind to be built in the region in the past 20 years, and while Indigenous people make up some 30% of the territory’s population, they comprise 90% of its prison population due to complex and ongoing community issues, which include a lack of services, high unemployment rates, and alcohol and substance abuse. As one of the most successful Malthouse productions of 2013, The Shadow King took almost $200,000 (£95,142) across its initial run, with the subsequent Australian tour to cities including Adelaide, Perth and Brisbane generating a box office total of $477,000 (£225,916). It was during the Sydney Festival leg of the tour that Toni Racklin, head of theatre at the Barbican, caught The Shadow King, and began conversations with Kantor and the Malthouse, leading to an invitation to the London Shakespeare season. Continuing the production’s journey has been an expensive endeavour – it is costing approximately $350,000 (£225,917) to take it to the Barbican. Despite $150,000 (£75,275) worth of arts grants, pledged through three separate grants of $50,000 (£23,811) each from the Victorian State Government Creative Victoria international touring fund, the Australia Council for the Arts and Lonely Planet founders and philanthropists Maureen and Tony Wheeler, additional funding is still being sourced. 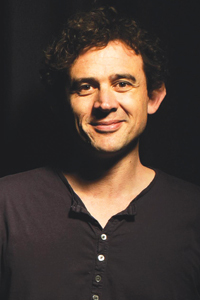 While the production was designed to tour Australia, Kantor says taking The Shadow King overseas has presented a number of logistical challenges. Beyond finalising passports, visas and paperwork issues for the company – some of whom have never left the country before – the set, which forms a design centrepiece as a giant moving metal platform structure reminiscent of a mining vehicle, is too large to fly to London and will instead take three months to make the journey by ship. And then there’s the sand. Covering the entire floor of the set is blood-red sand from the Northern Territory, forming a symbolic connection to country. Its colour is unique and cannot be found elsewhere in the world. Kantor is interested to see how the production’s themes will resonate with London audiences. “I’m hoping it’s not just a curiosity of adapting Shakespeare, but a curiosity about what’s taking place in Indigenous communities. While Australian Indigenous theatre has been consistent in exploring stories around European settlement and colonisation, Kantor is unsure how strongly those themes will play within the English psyche. “The piece intentionally doesn’t place any white people on stage, but they are the powers behind all the decisions that are inflicted on these people. Troy Nankervis is an Australian arts and culture journalist based in London. 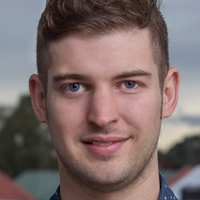 He began writing for The Stage in 2015.